Join Security Compass as they host an evening with both the Rochester ISSA and OWASP chapters and discuss How Billion Dollar Enterprises Manage Application Security at Scale, presented by Altaz Valani, Research Director. Altaz Valani is a Research Director at Security Compass responsible for managing the overall research vision and team. 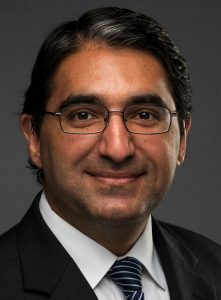 Prior to joining Security Compass, Altaz was a Senior Research Director in the Application Development Practice at Info-Tech Research Group providing IT managers, directors, and senior managers with guidance and analysis around application development – including Agile, Cloud, Mobile, and the overall SDLC. His other past positions include Senior Manager at KPMG, and various entrepreneurial and intrapreneurial positions where he worked side by side with senior-level stakeholders at blue chip clients to drive business value through software development. Altaz enjoys coding, teaching, and the challenge of learning. He received his BEng in Computer Engineering from McMaster University, and his MBA from the University of Western Ontario. Please RSVP to john.king@owasp.org by Monday, July 10th to reserve your seat at this exciting event. This entry was posted	on Wednesday, August 23rd, 2017 at 10:46 pm	and is filed under Chapter Meetings. You can follow any responses to this entry through the RSS 2.0 feed. Both comments and pings are currently closed.